GMA News and Public Affairs has created a ringtone from its election advocacy theme song, Dapat Tama by Gloc-9 featuring Denise Barbacena. This ringtone is being distributed for free, and it is available in three formats: mp3, wav, and m4r. Download your preferred format after the break. 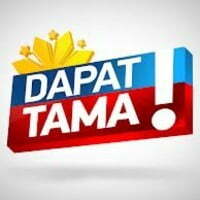 To download the whole Dapat Tama song in MP3 format, go to GMA News Online.